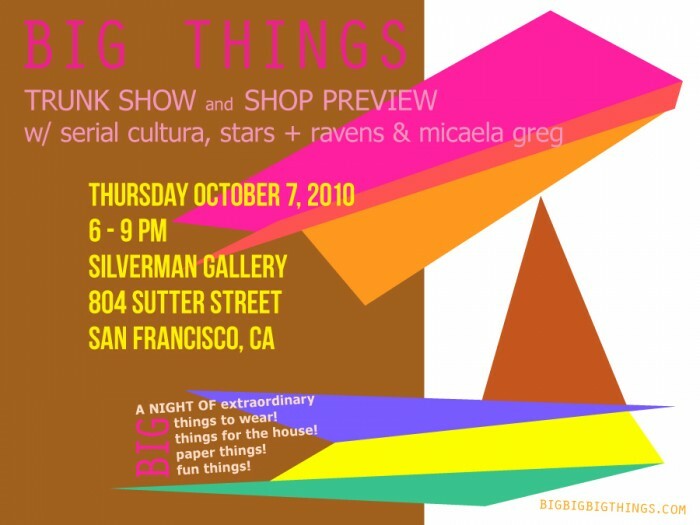 i’d like to cordially invite all of you to the BIG THINGS shop preview and trunk show this coming thursday, october 7th at the silverman gallery in san francisco. the ladies of serial cultura, stars & ravens and micaela greg will be showing their most recent collections and i will be previewing some select pieces from my new online shop! BIG THINGS is a collection of extraordinary objects to wear, admire, and use in your extraordinary life. 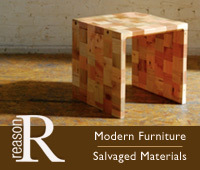 gathered from around the world, the pieces speak to an audience appreciative of color, tradition, design, humor, and nature. new mexican pueblo jewelry, turkish hand-woven textiles, greeting cards by gold teeth brooklyn, nutfang soft sculptures, kith & kind totes, tracy’s friendship bracelets, vintage discoveries….and more more more! hope to see you guys there! i’ve been working really hard and am sooooo excitedddddd!!!! This entry was posted on October 1, 2010 at 10:12 am and is filed under ART, BIG EVENTS, BIG NEWS, BIG SHOP, COOL STUFF, DESIGN, FASHION, SHOPPING. You can follow any responses to this entry through the RSS 2.0 feed. One Response to BIG THINGS SHOP PREVIEW!